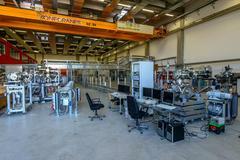 FLASH is the first X-ray laser worldwide which can serve experiments at two beamlines at the same time. 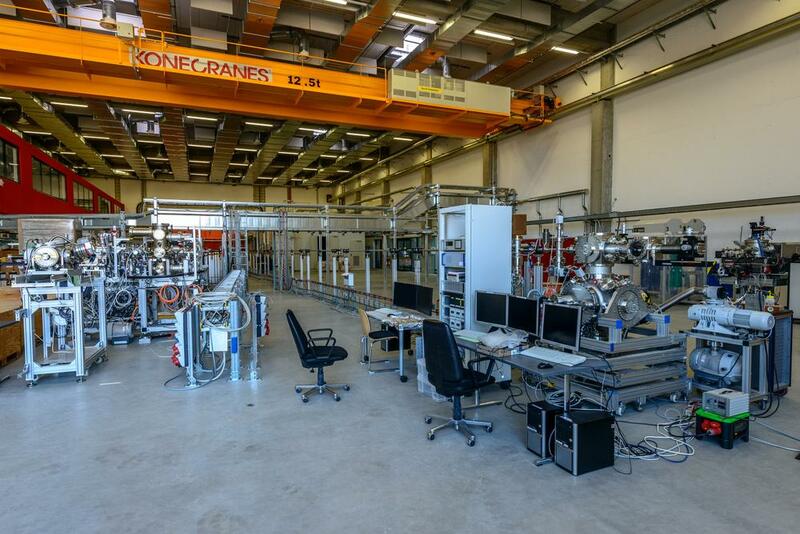 View into FLASH´s experimental hall &apos;Kai Siegbahn&apos;: beamline FL24 (right) has just taken up user operation while beamline FL26 (left) is still in the final equipment phase. Click me! First user experiment at FLASH2: fluorescence of Xe clusters excited by the FLASH2 pulses. Left: Nozzle where the clusters exit. Middle: fluorescence in the focus of the multilayer mirror (higher intensity left and right of the centre, since there are more clusters which fluoresce). Right (weaker &apos;circles&apos;): fluorescence of the clusters in the incoming unfocused FEL beam.